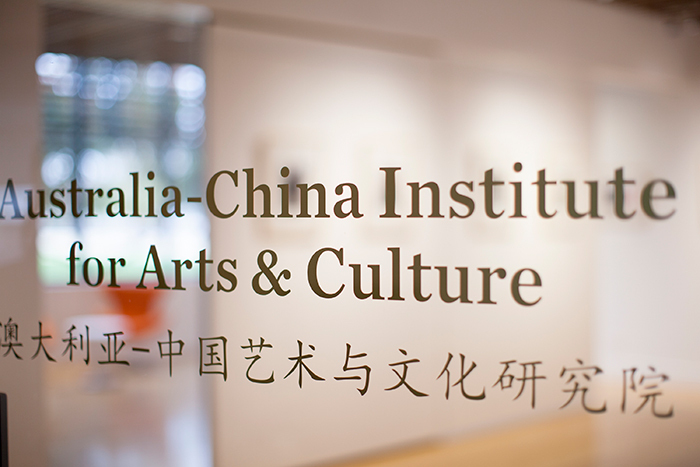 Australia-China Institute for Arts and Culture (ACIAC) is positioning itself as a hub and national resource centre for cultural exchange between Australia, China and the Sinosphere (including Taiwan, Hong Kong, Singapore and other centres of Chinese culture), and for collaborative action in the arts and cultural fields. It is building on the strengths of Western Sydney University and on existing exchange programs in the University. Located in one of the most ethnically diverse urban centres of Australia, ACIAC will also have great local significance in building a new multicultural urban society, and it will harness local support and engagement in its programs. This newly-established institute is optimally positioned in the most prominent position on Western Sydney University's main Parramatta South campus. The Institute occupies 150sqm of existing space within a major teaching building, Building EA. The space features a large foyer area for hosting functions and welcoming visitors to the Institute, a meeting room, professorial office space, open plan workstations, a kitchenette, a benefactor's wall and a state of the art technology fit out. The space features large wrap-around north facing windows overlooking the main arrival plaza and green spaces at the front of the campus.